4. What will we do with your personal information? 5. Email marketing and opt-out. 6. How do we keep your personal information safe? 8. What if you are under 18 years old? At GTE, we care how your personal information is used and we appreciate that you trust us to do that carefully and sensibly. Personal information that we collect may include your name, contact details (phone numbers, email address and addresses), credit card or billing information, shopping selections and data about the pages you visit on our site, as well as any other personal information relating to you or a third party that you supply to us. Personal information you choose to disclose. You may, for example, provide us with your information when you contact us (online or offline) or when you order goods or services from us. Information collected by us when you interact with our site or when you open our email communications. c) Understand the effectiveness of our email communications. 4. What will GTE do with my personal information? We use your personal information to process your online purchases, to inform you about products and services offered by us, to improve the products and services offered to you, for market research purposes, for marketing, statistical or analytical purposes, and otherwise to better meet the needs and preferences of our customers. We will not allow unrelated third parties to use your personal information for marketing without your consent. c) Invite you to participate in surveys, discussions, competitions and prize draws and ask for your views on our services via online surveys and discussion forums. We also use personal information in aggregate form (so that no individual user is identified by name) to build marketing profiles, audit how our site is used, and to help with the strategic development of our site. 5. Email marketing and opt-out. We seek to protect the safety of all your personal information. Where we use third parties to process personal information, we require them to ensure the safety of your information. We use appropriate security measures on our own systems, but the internet is not a secure medium and we cannot guarantee the security of information transmitted via the internet. We will never sell your personal information. 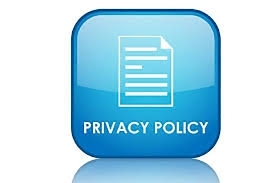 We may disclose and share personal information with law enforcement agencies if required to do so by law. 8. What if you are under 18 years old? If you do not agree to the changes, please do not continue to use our site or provide us with your personal information. 11. Contacting Genesis Timber Engineering Limited.